Fayette Superior Court Judge Mack Crawford. File photo. Suspended Fayette Superior Court Judge Robert “Mack” Crawford was arraigned in Pike County Superior Court on April 4 on charges of theft by taking and violation of oath by a public officer, both felonies. The trial date is tentatively set for Sept. 6. 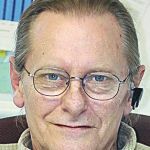 Pike County Clerk Pam Thompson on Monday said the arraignment was held April 4, with Crawford entering a plea of not guilty to felony theft by taking and felony violation of oath by a public officer. Thompson said the trail date was tentatively set for Sept. 6. 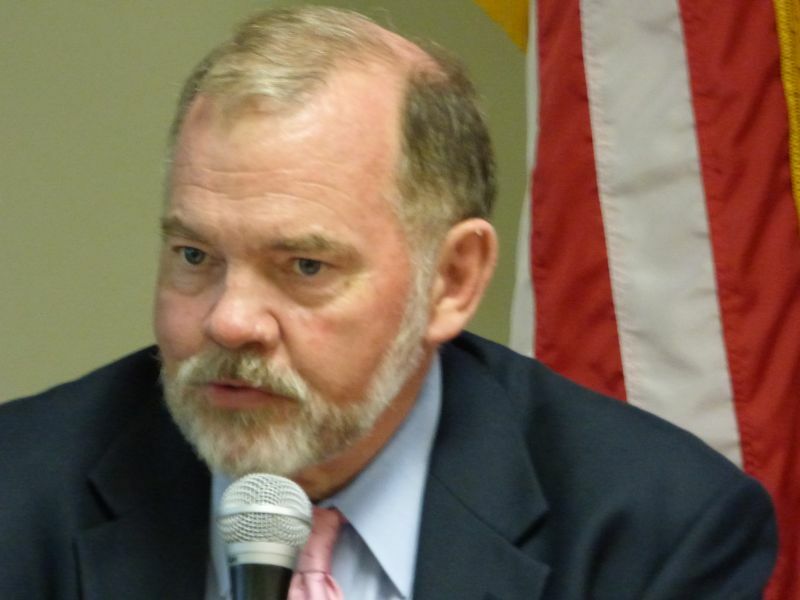 A petition by Crawford to have a pending ethics charge against him halted was denied March 21 by a Cobb County judge. Crawford at a March 22 hearing noted that telling the Pike County Clerk of Court to forward funds from the court registry to him was a mistake. Suspended last fall after being indicted on charges of stealing $15,675 from the court registry, Crawford on March 22 told a state Judicial Qualifications Commissions (JQC) panel that he made “a big mistake” when he directed a court clerk to pay him the money, according to an article in the Fulton Daily Report. Crawford insisted during the second day of an ethics hearing on charges that he violated the state Judicial Code of Ethics that he has a legitimate claim to money he deposited in the Pike County court registry 17 years ago for two former clients, a subsequent article said. A Cobb County judge on March 21 denied a petition by Crawford, and his attorney, former Gov. Roy Barnes, to “to strip members of the state judicial watchdog agency of their authority to investigate a complaint against a suspended judge facing ethics charges,” according to the March 21 article in the Fulton Daily Report. A suspension notice signed Dec. 3 by JQC Presiding Officer Robert C. I. McBurney noted that a Pike County grand jury on Oct. 31 returned a true bill of indictment charging Crawford with two felonies – theft by taking and violation of oath by a public officer, and relating to a July ruling from JQC where Crawford was charged with “egregious” judicial misconduct relating to the theft of more than $15,000 from the registry of the Pike County Superior Court. JQC referenced Crawford’s order to the Pike County Clerk of Court to disburse $15,675.62 in funds from the court registry to him by check. Crawford then cashed and used a portion of the check for his personal benefit and deposited the remainder of the money in his personal checking account. The funds either belonged to his clients or were unclaimed property that should have gone to the Ga. Department of Revenue, JQC said in the July 24 ruling.